35 LED Rice Light Set - Electric - for Miniature Fairy Gardens. 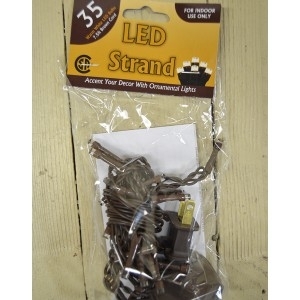 35 Bulb LED String Lights 7.5ft Brown Cord - Steady On. Warm White.